Fully managed Elasticsearch in the Cloud. 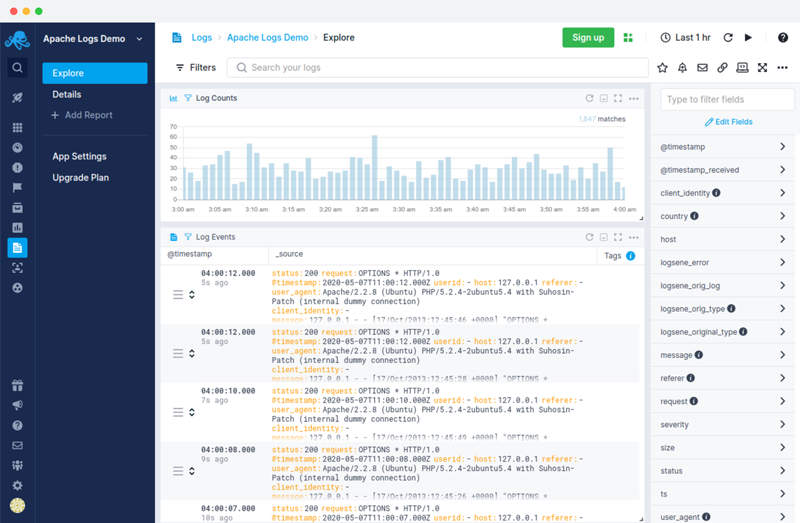 Elasticsearch API and fully integrated Kibana give you the power of the ELK stack while relieving you of Elasticsearch management hassle, infrastructure, and high expert staff costs. It’s simple: run a query, save it as alert query, optionally select additional notification hooks like Slack, PagerDuty, etc. Use threshold-based alerts if you have specific thresholds and know what is alarming. Get notified when the number of logs hits the threshold. 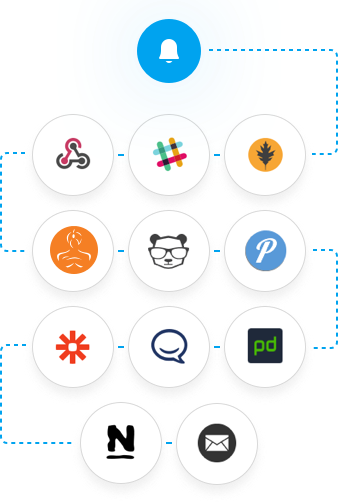 Built-in integrations for email, PagerDuty, Slack, HipChat, BigPanda, OpsGenie, VictorOps, WebHooks, Nagios, Zapier, etc. Sematext Logs runs on Amazon AWS, whose infrastructure follows IT security best practices and adheres to a number of compliance standards such as SOC 1/SSAE, SOC 2, SOC 3,16/ISAE 3402 (formerly SAS 70 Type II), FISMA, DIACAP, FedRAMP, and HIPAA. Sematext Logs lets you control who can access which log. 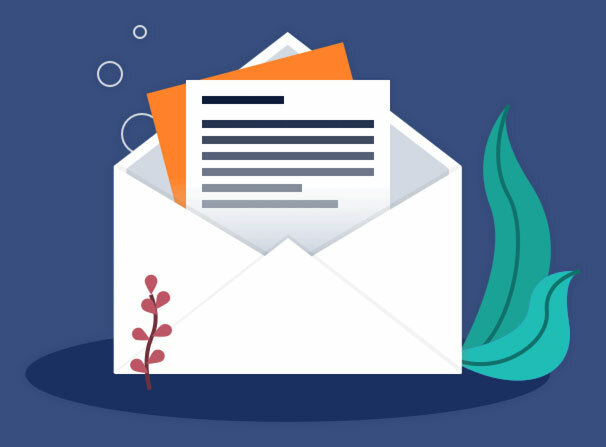 Syslog comes in many flavors of message formats, protocols and daemons. Traditional UDP syslog will work, of course, but you can also send data over TCP for more reliability. Even more reliability is provided by RELP. 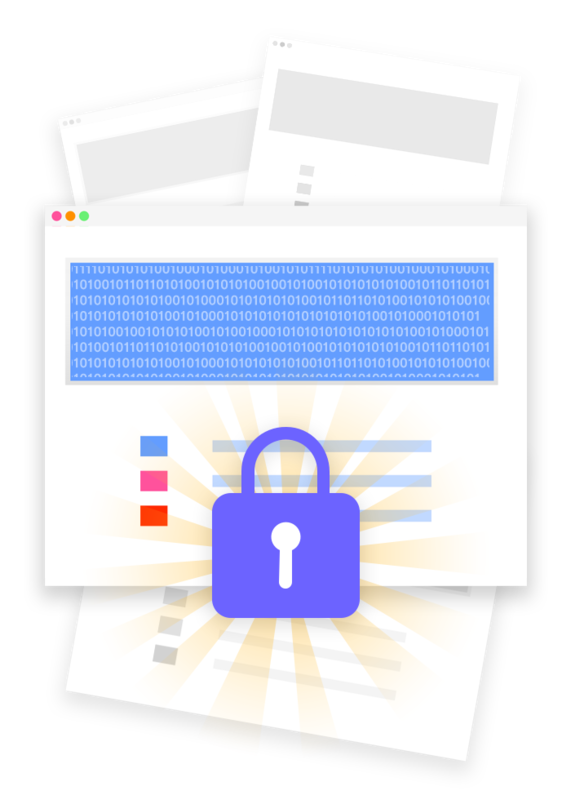 If you need encryption, you can use TLS syslog. Use anomaly detection to be alerted on sudden abnormalities in your logs and let statistical algorithms find abnormal log counts. Use any of the number of compatible log shippers, logging libraries, platforms, and frameworks. 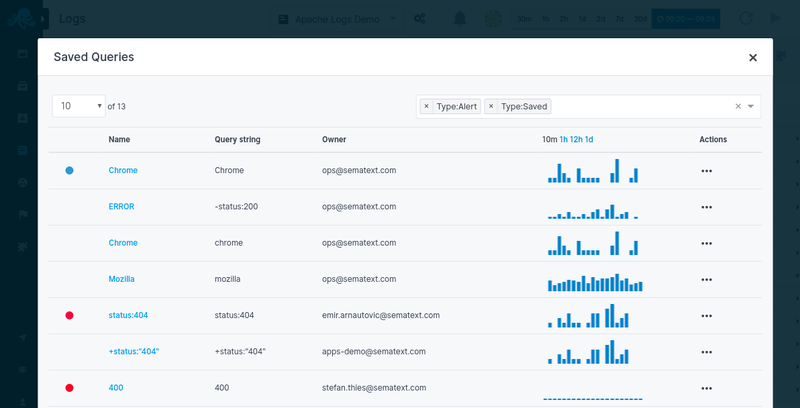 Live Tail provides a real-time view of your logs as they stream into Sematext Cloud. Say you deployed new code. 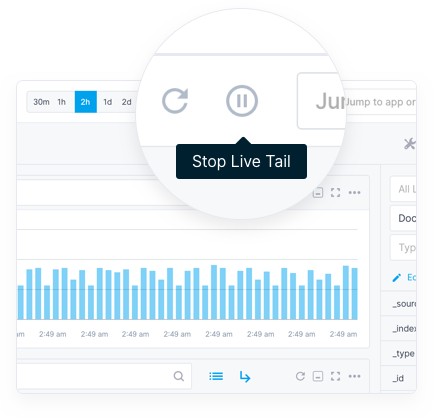 With Live Tail you will immediately see new errors as they are logged in real-time. It’s like “tail -f” on all your logs in a single place. No, not your terminal! Pricing depends on the plan as well data transfer rates per day and retention days you need. New users get a 30-days free trial for each new Logsene App (existing customers get 2 days free trial for each additional App). At the end of the trial the App is automatically switched to the Basic (free) plan, unless you picked a paid plan. If you pick a paid plan before the trial period ends we will honour the full trial period. Of course. You can simply stop sending us your logs or switch to the Basic plan. There are no contracts and no commitments. You can cancel any time. Price is metered and based on 3 factors: plan, daily volume, and data retention. You pick a plan based on which features you want. You pick volume based on the volume of logs you produce daily. The higher volume you pick the lower the cost per GB. You pick data retention depending on how long you need to keep your data. We charge at the end of the month. For longer term and large contracts please get in touch. Can I use multiple different plans, volumes, and retention? Yes. Each Logsene App is independent and each Logsene can have a different plan. 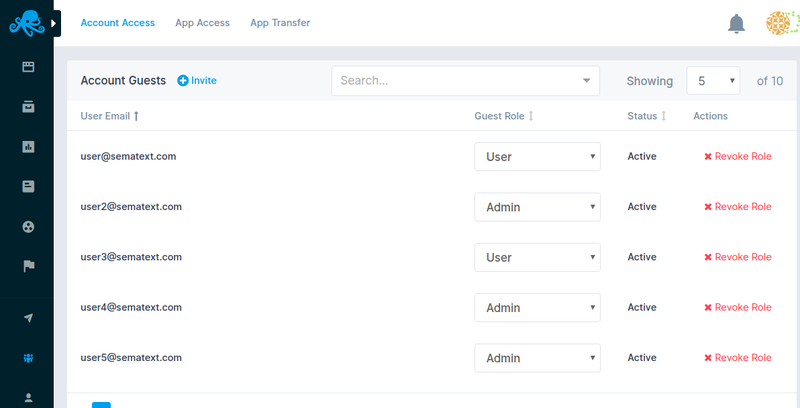 Each user account can have any number of Logsene Apps. Moreover, each Logsene App can use a different payment method (e.g. a different credit card). Can I run Logsene On Premises or in my Cloud? Yes. Everything you see in the Cloud version of Logsene is available in an on Premises version, packaged as an RPM, DEB package, or a VM. Please get in touch for more information. Logsene displays your daily log volume. You can use that information to determine which plan best fits your needs. What happens if I go over the daily volume specified in my plan? We keep accepting your logs. We keep track of the daily volume and charge based on the actual volume of data sent to us beyond the volume specified. Note that the bigger volume you specify in your plan the lower the price per GB. Thus, if you find that you often go over the volume you’ve specified you may pay less if you select a higher volume. How much time does set-up take? It can take as little as a few minutes, but it depends on how fast you are at configuring log shipping. When you create a Logsene App we provide all needed configs for an array of log shipping tools. Why is Logsene better than in-house ELK Stack? Logsene is much more feature rich than ELK Stack. ELK doesn’t have alerting. It doesn’t have security. It doesn’t have multi-user support. It doesn’t have Log Tagging. It doesn’t have Live Tail. It doesn’t integrate with a performance monitoring system like Logsene integrates with SPM. ELK requires infrastructure. It requires maintenance and tuning. It requires time. Running ELK requires one to become at least somewhat knowledgeable with scaling Elasticsearch and to become an expert in it when the data volume grows. All of this adds up and ends up costing more time, money, and resources than using Logsene.